Midge Purcell, director of advocacy and public policy at Urban League of Portland, delivers 7,000 "ban the box" petitions to Mayor Charlie Hales. Photo by Fair Shot for All Coalition. Even though social worker Emanuel Price is open about his past criminal history and is well connected within the community, his record still interferes with getting a job. His most recent employment application was with Portland Public Schools. During the process he was hired, fired, rehired, fired again and finally rehired for the position – in which he counsels teenagers in new approaches to conflict resolution in the schools. Last year The Skanner News covered Price’s story and how an Oregon statute prevents people who have committed “forever crimes” from working with children. Price testified Wednesday at the Portland City Council public hearing in support of a proposal to “ban the box.” He was joined by community advocates, labor leaders and business owners who packed the City Hall chamber. The citywide initiative would prevent employers within Portland city limits from asking about criminal histories on job applications, effectively eliminating the past convictions checkbox. Proponents say banning the box would eliminate barriers to employment for people who have arrests on their record. Instead of throwing out job applications from ex-convicts at the beginning of the selection process, candidates can compete on merit and reveal their records in interviews or through background checks. The grassroots civil rights organization All of Us or None started a national Ban the Box campaign in 2003. The group was made up of formerly-incarcerated people and their families. Since that time, the Ban the Box movement has been gaining significant momentum. In 2013, the City of Seattle restricted using criminal records in hiring decisions. San Francisco enacted a similar ban in 2014. More than 50 districts in the country have similar ordinances. The Portland Business Alliance, Oregon Association of Minority Entrepreneurs (OAME) and the Hispanic Metropolitan Chamber have announced their support of removing employment barriers. On Thursday, Metro, the regional government, unanimously passed a resolution to remove the box from their applications. Metro councilor Sam Chase introduced the bill to ensure that every candidate has a fair chance at being considered. “With the box removed from our applications, Metro will now allow people to make the case for their qualifications on a fair playing field,” Chase wrote in a press release. Metro joins the City of Portland and Multnomah County who have removed “the box” from their government job applications. 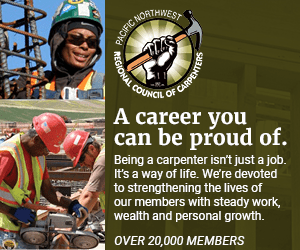 The Portland City Council proposal would extend this to all employers within city limits. In addition to a citywide proposal, the Oregon Legislature is considering House Bill 3025, which would ban the box statewide. Many submitted testimony at Wednesday’s council hearing in support of the resolution such as: Michael Alexander, president and CEO of Portland Urban League; Emanuel Price, founder and executive director of Second Chances are for Every One (SCAFE) and Tom Chamberlain, president of Oregon AFL-CIO. The Fair Chance for All coalition submitted over 7,000 petition signatures from Oregonians who support banning the box. Price has first hand experiences of the hardships ex-cons go through when trying to find employment. He started SCAFE to provide programs and resources to former criminals to break the cycle of recidivism. Price told the council that he has been out of jail twice as long as the time he had served and it is still hard to get a job. Small business owner Bill Dickey of Morel Ink spoke with The Skanner News about his decision to take the box off his own business’ application. He believes it creates a bias the artificially limits the pool of applicants. Dickey believes that employers should perform background checks, but he believes those conversations should happen after he has screened candidates for their skills and aptitude. “If we find in the interview that they have had a criminal record, we'll discuss it and I decide whether or not it creates a conflict for me,” Dickey said. For Price, banning the box is about more than employment, it is about having access to jobs with more responsibility and clout. When faced with dire job prospects, Price felt he had more to give back to his community. "I just felt like I could do more, there was more that I had in store for myself rather than laborious or low entry or very, very minimum wage." The Portland City Council votes on the “Ban the Box” proposal next Wednesday.